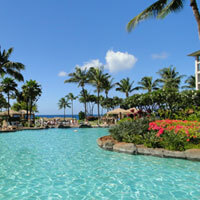 Hana Hawaii Hotels & Vacation Rentals: Find a Perfect Place to Stay in Paradise! Hana Hawaii hotels aren't the only place to stay in the east Maui paradise known as Hana. Vacation rentals in Hana Maui are available everywhere, plus romantic bed and breakfasts tucked away in secluded rainforests with amazing ocean views. The only major hotel here is the Travaasa Hotel Hana - it used to be known as the Hotel Hana Maui and is located at the south end of town. This 4-star property has 3 pools, offers loads of Hawaiian-themed activities, and has 69 acres of beautifully landscaped tropical grounds that seem to go on forever! If you're looking for something a bit more upscale, this place could be perfect! Rates start at $325 a night, double occupancy. 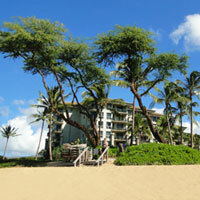 For rate details and reservations, contact Travaasa Hana Hawaii Hotel directly at 855-868-7282. If the price for a room at the Travaasa Hana has got you thinking that Hana is too expensive for you, don't despair - there are loads of more affordable options such as Hana vacation rentals or bed and breakfasts. If the only hotel in town is too expensive or not to your tastes, one option would be to book one of the condo vacation rentals in Hana Maui. We thought this was a great place to stay in Hana, and I totally recommend it. These 3-star Hana vacation rentals tend to get great reviews, and consist of 18 condos with glorious views of black sand Waikaloa Beach in Hana Bay. One of the particularly awesome things about these vacation rentals in Hana Maui is that every single condo here has either a full or partial view of the ocean. Better still, at the time of our stay, it hardly cost any extra to get a full ocean view. Rates start at $195 a night. For details, you can contact the resort directly at 1-800-346-2772. These 3-star vacation rentals in Hana Maui are more intimate and consist of 3 oceanfront suites on Hana Bay: the spacious 2-story Nai'a (Dolphin) suite, the second floor Iwa and first floor Honu suite. Rates start at $185 a night. For details and reservations, contact the Bamboo Inn directly at 808-248-7718. Rates start at $175 per night (minimum 2 night stay.) Click here for a complete list of amenities, rate details and reservations. These well-rated vacation rentals in Hana Maui offer 1 and 2 bedroom suites in the heart of town, and can accommodate as many as 4-6 guests. They are located right next to the Hana Cultural Center and Museum, and are just a short stroll away from the beautiful Hana Bay Beach Park. 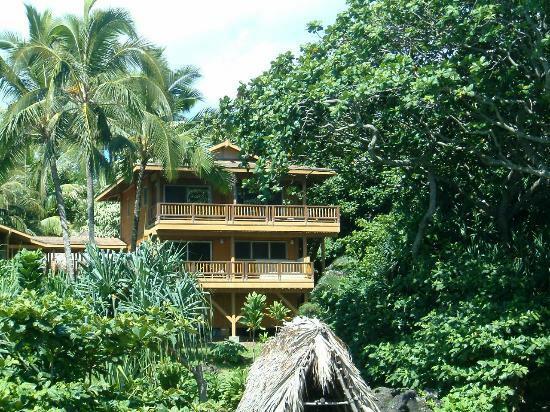 Rates at these Hana vacation rentals start at $145 per night. For details and reservations, contact the Hana Bay Hale directly at 1-800-471-8082 or 808-248-4999. 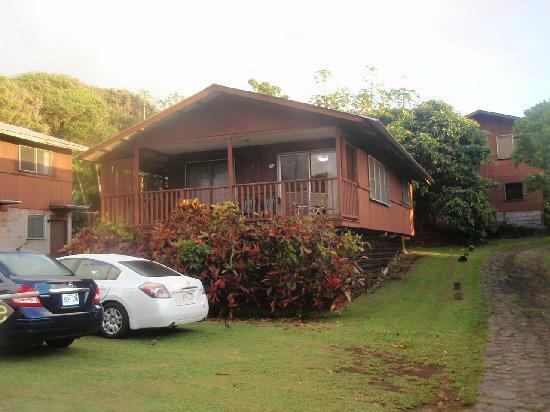 This couples-only Hana vacation rental looks really nice, and they have awesome reviews. There is a choice of a suite or a cottage, both of which are located mere steps away from Hana's famous Hamoa Beach. Rates start at $250 per night - there is a minimum stay of 3-5 nights, depending on how far in advance you book. For details and reservations, contact the owner directly at 808-248-7558. This is a really cool rental option: it's a 16-foot diameter yurt overlooking beautiful Hana Bay! I'm quite impressed with not only the great reviews for this particular Hana vacation rental, but with all of the amenities they fit into such an intimate space: a queen-sized bed, armoire, table and chairs, plus a small kitchen with fridge, cooktop, toaster, microwave and more. They also have wi-fi internet access if you want to stay connected during your stay. The rates for this Hana vacation rental are reasonable at $150 for a 1 night stay, or $135 for 2 or more nights. For details and reservations, contact Luana Spa Retreat at 808-248-8855. 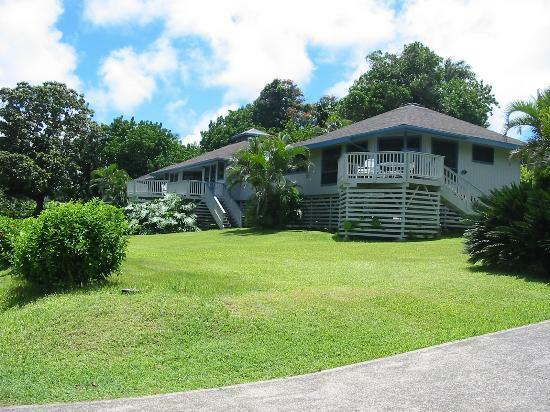 These vacation rentals in Hana Maui are very nice-looking and highly-rated. They can accommodate from 2-4 people, with rates starting at $175 per night. For rate details and reservations, contact the Hana Tradewinds cottages directly at 1-800-327-8097 or 808-248-8980. With the only Hana Hawaii hotel coming with such a high price tag, you may be glad to know that there are a few relatively cheap places to stay in Hana Maui too. The next couple of vacation rentals in Hana Maui come with low, low prices that anyone on a tight budget will love! These vacation rentals in Hana Maui have lower rates for their studios/houses than most of the others, making them worth considering if you're on a budget. Rates at these Hana vacation rentals start at $75 a night. For details, contact Aloha Cottages directly at 808-248-8420. Some reviewers have compared a stay at this Hana vacation rental to camping, but if you need a cheap place to stay, it might work for you. He rents out rooms for $50 a night, and you share a kitchen with the other guests. For rate details and reservations, contact the owner directly at 808-248-7033. 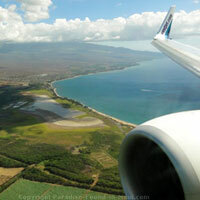 Since there are always going to be new vacation rentals in Hana Maui becoming available that I don't have listed above, I recommend that you check out one of my favourite sites for finding nice places to stay in Hana: Hana vacation rentals on HomeAway.com. They have a pretty good selection vacation rentals in Hana Maui, a great insurance option to protect your interests, and are super easy to use. Bed and breakfasts are another popular option for places to stay in Hana. One site that I particularly like is BedandBreakfast.com. They don't always have a ton of listings for the Hana area, but if you think a bed and breakfast might be right for you, you might as well take a peek!